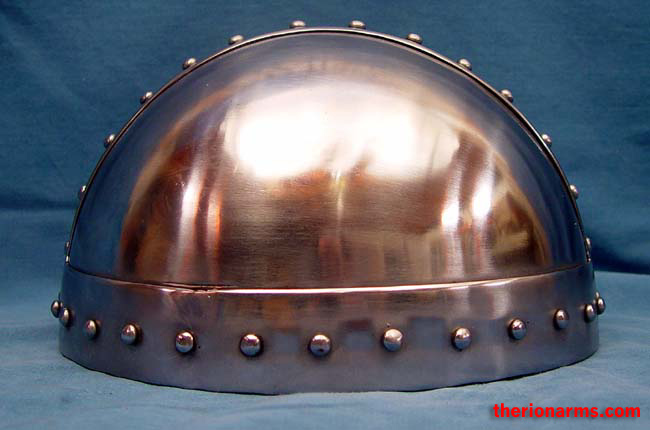 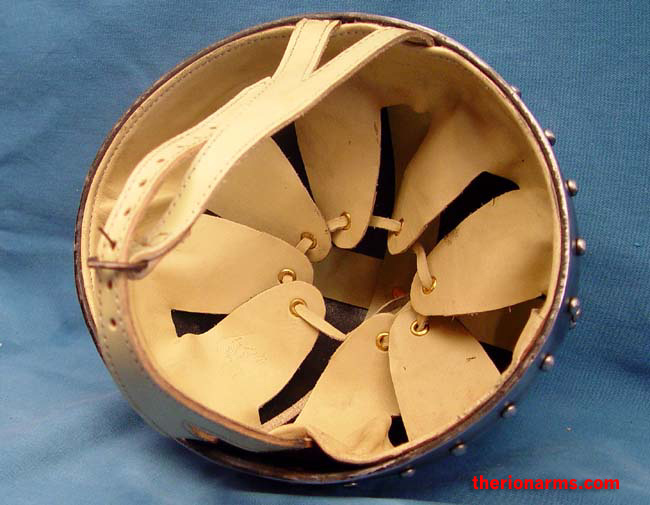 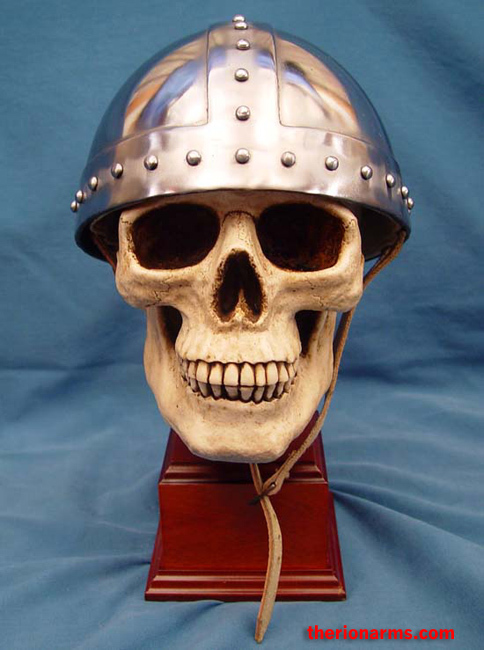 A two-plate spangenhelm made specifically for archers - the nasal guard has been omitted in order to provide greater visibility. 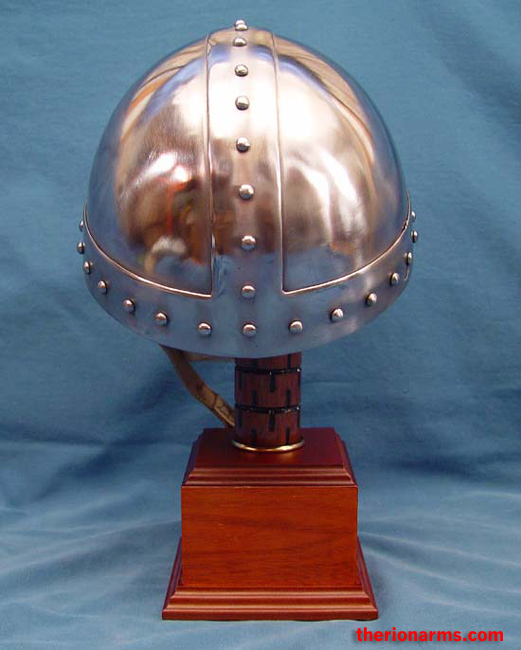 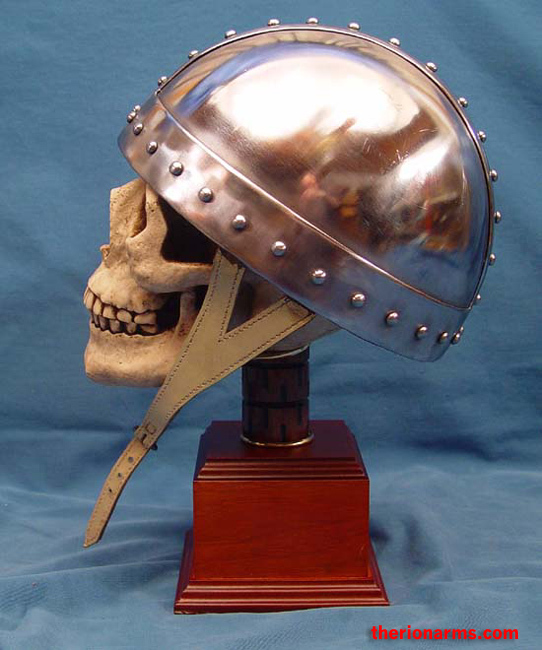 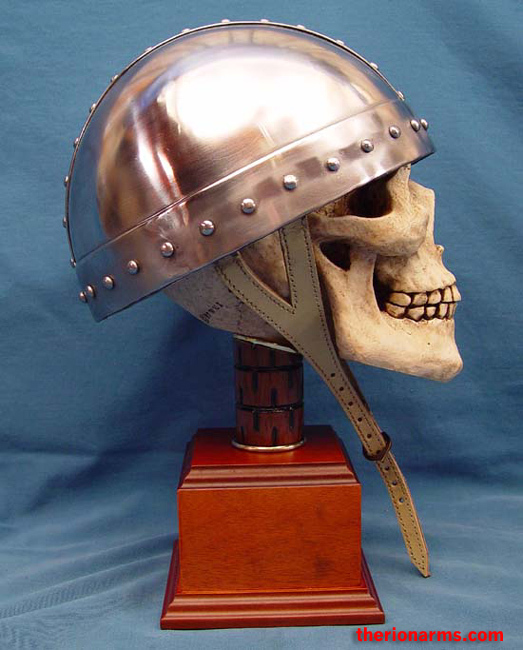 The helm has a 25/26" circumference, an adjustable leather liner and chinstrap, and has been crafted in 14 gauge steel by GDFB (Get Dressed For Battle). 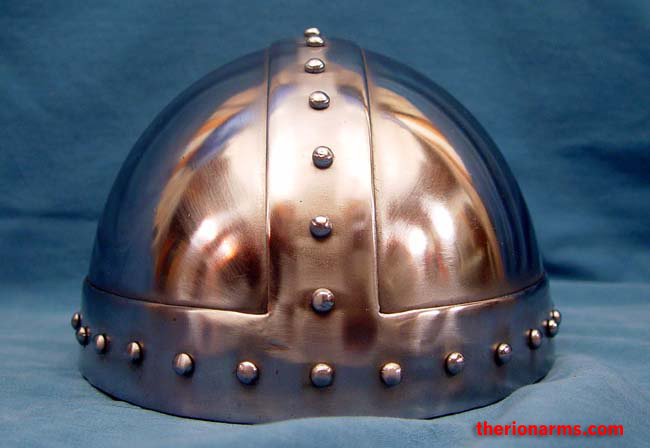 Archer or not, this is a good basic skullcap for when you need head protection but don't feel like being cross-eyed all of the time - or for warriors of Khazar ancestry like me; or the descendents of de Bergerac; and all other paladins who find standard nasal guards to be more annoying and flattening than comfortive and protective of our magnificent proboscises.